Heavy clashes took place between southern separatists and forces loyal to the internationally recognized Yemeni government in their temporary capital of Aden, as southern protesters vow to overthrow Saudi-backed President Abd Rabbu Mansour Hadi. Aidarous al-Zubaidi, the leader of the Southern Transitional Council (STC), said Yemen’s parliament would be barred from convening in Aden or anywhere else in southern Yemen unless President Hadi replaced Prime Minister Ahmed bin Daghr and his entire cabinet. 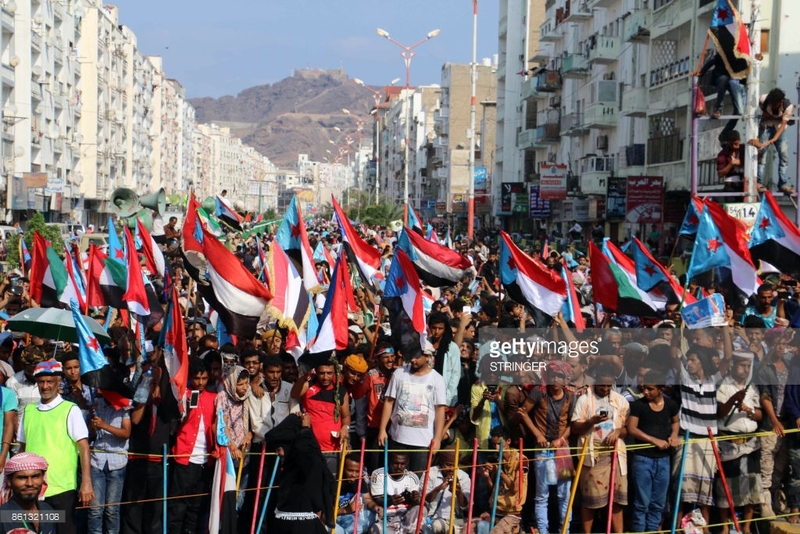 The announcement underscores rising tensions between southern separatists, who are allied with the United Arab Emirates (UAE), and President Abd-Rabbu Mansour Hadi’s government over control of the southern half of Yemen. In a statement carried by the state-run Saba news agency, the Yemeni Interior Ministry said it had ”decided to ban any gatherings, sit-ins or marches in the interim capital, Aden. “These actions will be considered acts that target stability and calm,” the statement said, adding that all armed groups will be banned from entering Aden. Yemen has been torn by an armed conflict since the Houthis captured the capital Sanaa in 2014 before they marched south towards Aden the following year in a military campaign that culminated in Hadi fleeing into exile. The Saudi-led coalition that entered the war after Hadi sought refuge in Saudi Arabia in March 2015 has helped local fighters free Aden from Houthi control and made other military gains in different parts of the country. However, the Houthis continue to control most of northern Yemen, including Sanaa.